Growing up with domestic pets and farm animals, my family did not "kennel" or "board" their animal family members. My experience of being around animal people has shown a need for high quality pet and large animal care. I found that many people feel the same as I do about offering pet sitting in the comfort and familiarity of their pet's own home. 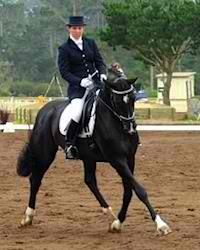 I have been a professional horse trainer for more than 28 years. As a home and pet sitter over the past 25 years, I have cared for horses, dogs, cats, goats, exotic birds, chickens, fish and many other pets and livestock. I offer in home care or daily visits.